What is working in risk really like? 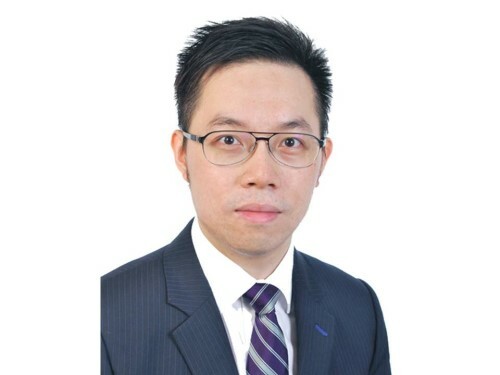 The following is an interview with Alvin Lam (pictured), MIRM, enterprise risk management consultant at Aon Global Risk Consulting, courtesy of the Institute of Risk Management. My risk universe began with financial risks, then moved to insurable risks and now settles on much broader enterprise risks. At university I studied Risk Management Science, which was a very successful and recognised degree with an acute focus on financial risk management. After graduation I was nevertheless keen to learn how the larger corporate world managed their business risks, so I joined Aon Hong Kong as a Management Associate (MA) with on-the-job training on insurance broking. During the MA time I was posted to several departments, one of which was Aon Global Risk Consulting, where I first came across the concept of enterprise risk management (ERM). Finishing my MA programme, I decided to knock the door of the risk consulting team and I landed as a risk analyst. Since then I have been working on a range of ERM and business continuity management projects for corporate clients in Asia. What’s a typical day like as an enterprise risk management consultant? My typical day consists of two parts: client facing and desktop work. Client facing is all about effective communications. It can be interviews, meetings, workshops, presentations, conference calls, write-ups and other correspondences. Breakdown of communication can happen not only between me and the client, but also, and much more often, between the client’s risk manager and internal stakeholders. Desktop work, or the critical thinking bit, is about information crunching, research, analysis, and recommendations development. This is to ensure that the contents of communications are specific, sufficient, relevant and impactful. It’s intellectually challenging. At one time I could be developing an ERM framework for an Indonesian energy company, conducting a risk assessment for a Hong Kong retail client, and preparing risk training materials for a Philippines conglomerate. I have to immerse myself in various countries, industries and businesses at a level sufficient enough to provide meaningful advice, sometimes in a very short timeframe. Lots of diverse perspectives. Working for a range of clients is a fantastic way to broaden my horizon and challenge my assumptions to the world. Through different clients I can see the world through a different lens. In general, the risk awareness in Asia is still very basic. Encouraging companies with little risk awareness to invest in risk management requires tremendous persistence and passions. In what way are your IRM qualifications relevant? An internationally recognised ERM qualification is largely lacking in Asia. The IRM International Diploma in Risk Management fills both the knowledge and recognition gaps. It provides me with a very solid foundation that I can build my knowledge, experience and expertise. The syllabus at my time also included a practical assignment, and I decided to conduct research on the general risk management status in Hong Kong and Singapore in view of their respective corporate codes. It was a perfect opportunity for me to put together my learnings of my IRM Diploma and my working knowledge in Asia. What would you say to others thinking about joining IRM as a member? I would strongly recommend anyone with an interest in risk management to join IRM. Risk management is itself an evolving subject. And, by definition, a prudent risk manager should capitalise on the experiences (and mistakes!) of others. IRM is a good gateway to access the international risk community and to understand the latest risk management thoughts. Develop good business acumen and get to know what is happening in the world. Listen. Find out not only what a client is asking for, but also why. It helps to put things into a perspective that matters to the clients and their management. It also applies to an in-house risk manager who deals with internal customers daily. "Life advice for risk managers, and risk takers"